In the year 2000, in an attempt to preserve the best traditions of cricket, the MCC and the ICC agreed to incorporate a preamble to the laws of the game, entitled The Spirit of Cricket. 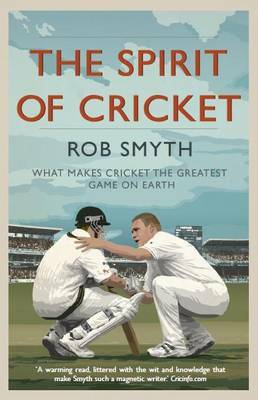 The Spirit of Cricket is a compelling collection of the great moments in cricket history that epitomise the best of the game. Spanning the globe, featuring cricketers from all the major playing nations and covering moments from the Ashes in the nineteenth century to the IPL in the twenty-first, this is the perfect read for cricket lovers everywhere.